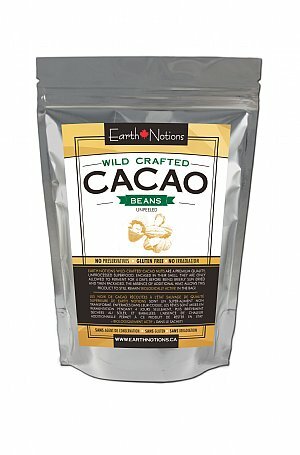 Earth Notions 'wild-crafted' cacao beans are a premium quality, unprocessed superfood. Encased in their shell, they are only allowed to ferment for 4 days before being briefly sun dried and then packaged. The absence of additional heat, allows this product to still remain 'biologically active' in the bag! 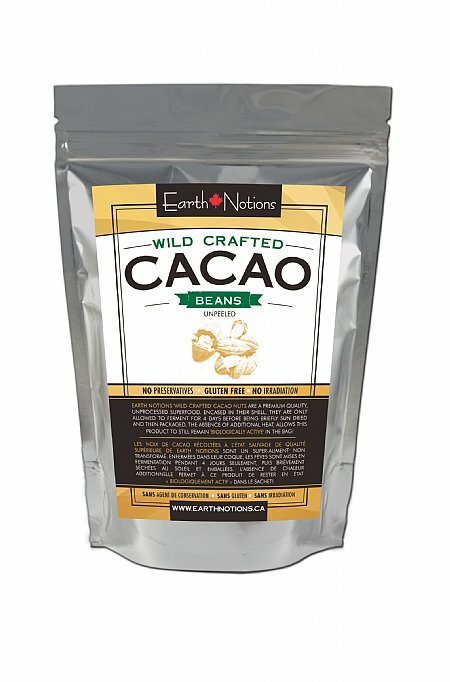 They come directly from cacao trees grown on small sustainable farms in the Amazon jungle region of Peru. Truly a unique, raw food experience.